The new 2014/15 report finds that in two out of five areas funding is being cut back. In addition half of all services are being reconfigured or recommissioned indicating a high level of change across the country. As an alternative to biopsies, the researchers used DW-MRI to measure the movement of water molecules within body tissues. This helped them to determine the apparent diffusion coefficient (ADC) of the prostate tissue, which is relatively high in normal prostate tissue, but low in cancerous prostate tissue. A major player's entry into DNA-based detection of incipient tumours will test the technology's potential. With HLI’s comprehensive whole germline and cancer genome product, a patient’s germline is sequenced to 30x coverage and compared to their tumor genome which will be sequenced to 90x coverage. A systematic review of the scientific literature on dense breasts by researchers at UC Davis and other institutions has found that determinations of breast density can be unreliable and that as many as 19 percent of women are re-categorized as dense rather than non-dense or vice versa from one mammogram to the next. Analysts have said the drug (venetoclax) has 'blockbuster' sales potential, meaning sales of more than $1 billion a year, and U.S. regulators had already fast-tracked it for approval last May by designating it a breakthrough therapy. The companies will partner in a mid-stage study to evaluate the safety and efficacy of the combination of BioLineRx's BL-8040 and Merck's Keytruda in patients with metastatic pancreatic adenocarcinoma. Oncology is one of the fastest-growing therapy areas, accounting for about 20 percent of branded drug sales. Approval by the full Senate, however, is unlikely to happen soon, because Senator Lisa Murkowski of Alaska has pledged to block his candidacy over the agency’s approval of genetically engineered salmon. This sort of analysis is also yet another bit of data demonstrating that conventional treatments work. After all, if a conventional treatment didn’t work, it wouldn’t matter how long you waited to administer it. Biden said he and his team will work to reach “unprecedented levels of cooperation” among the nation’s leading cancer centers and encourage technology companies to facilitate the sharing of medical data. We must recommit to vastly speeding the discovery of new cancer treatments and enabling the possibility of precision medicine for every individual with cancer. 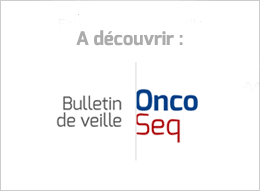 With the effective application of “big data” initiatives, such as ASCO’s CancerLinQ rapid-learning system, insights that have taken years to discern could happen much more quickly, helping us to better understand which treatments work best for each patient and the high impact areas where additional research is critically needed. Tonight, the President tasked me with leading a new, national mission to get this done. It’s personal for me. But it’s also personal for nearly every American, and millions of people around the world. Barack Obama has channeled John Kennedy’s space race with the Russians to pledge a new “moonshot”, led by vice-president Joe Biden at “mission control”, for the United States to win a new global health race and find a cure for cancer.